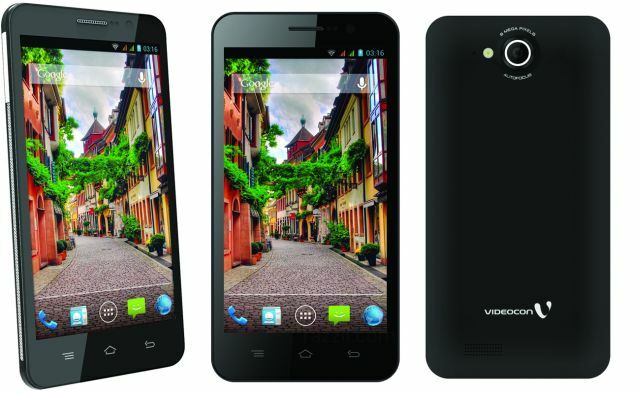 Videocon Mobiles announced its new Android Smartphone, A55HD for Indian Market at the price of Rs. 13,499. Videocon A55HD comes with 5-inch OGS Capacitive Touch Screen with 1280 x 720 HD resolution, 1.2 GHz Quad-Core Processor, 1 GB RAM, 8 MP Rear camera and 3.2 MP Front Camera. The device runs on Android 4.2.1 Jelly Bean. The 8 MP Rear camera features Auto Focus, Panorama Shot & up to 40 continuous Burst shots. The device is powered by 2000 mAh Battery (i guess not enough for 5-inch device). The device loaded with engaging features like Flip to Silent and Face Detection. In Connectivity, the device has HSPA 42 Mbps, Bluetooth 4.0, Wi-Fi 802.11 b/g/n and A-GPS. The Videocon A55HD is value for money as you’ll get a Quad-Core processor, 5-inch HD Display, 8 MP Rear & 3.2 MP front camera and most importantly loaded with Jelly Bean.